March is moving onwards and once again advertisers are rolling out stereotypical Irish images of shamrocks, rollicking leprechauns and beer-drinking, freckle-faced party goers. 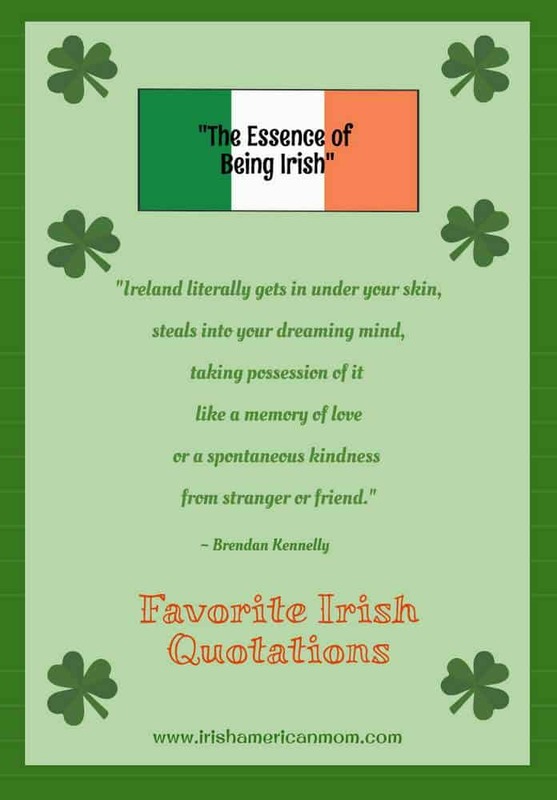 When St. Patrick’s Day approaches, let’s face it, most Americans think of cheesy “Kiss Me – I’m Irish” T-shirts, green beer, Irish fighting songs, claddagh rings and leprechauns. 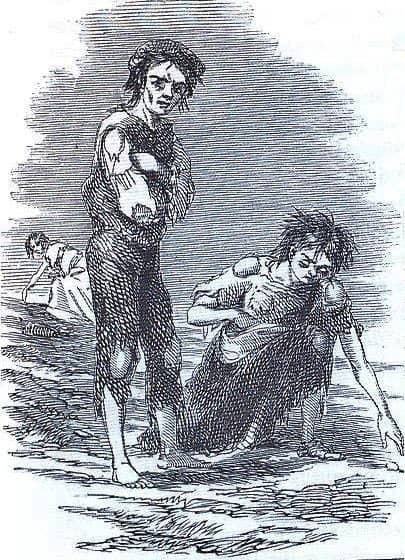 And so I started thinking about whether I find these stereotypical representations of the Irish and Ireland offensive or not? To answer this question I think we must appreciate how these stereotypes first arose. 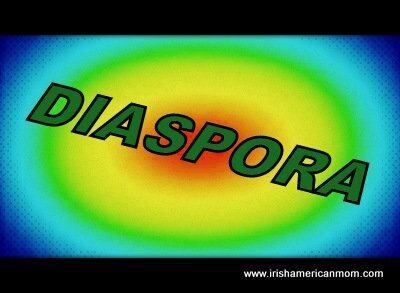 The mass exodus of emigrants out of Ireland over the past centuries has resulted in a large Irish diaspora being spread to the four corners of the world. 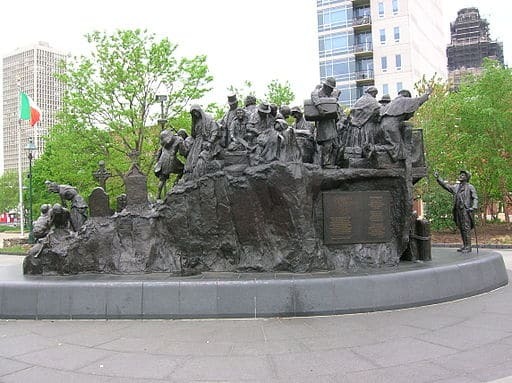 Differing views of Irish immigrants have developed in the nations where we settled. 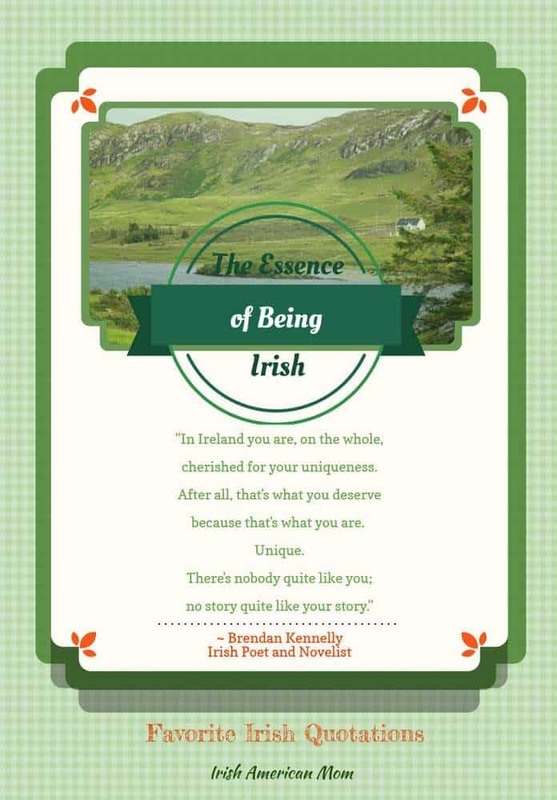 Stereotypes have arisen from the perception of Irish immigrants by others, some fueled by a romantic notion of the ‘Emerald Isle’, and some fueled by displays of boorish, drunken behavior. 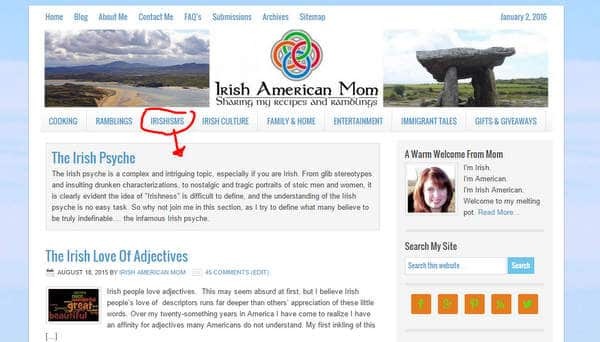 Whether good or bad, flattering or offensive, there is no denying a strong stereotype is connected with the Irish, especially here in the United States. There is the assumption that being Irish we are genetically predisposed to drink too much, leading to images of fighting, drunken Irish. But is this truly offensive? There is a seed of truth in the origins of this stereotype. Our love-hate relationship with the demon drink is world renowned. Unlike other cultures we drink less in the solitude of our own homes, instead preferring the socially stimulating environment of public drinking in aptly named public houses. 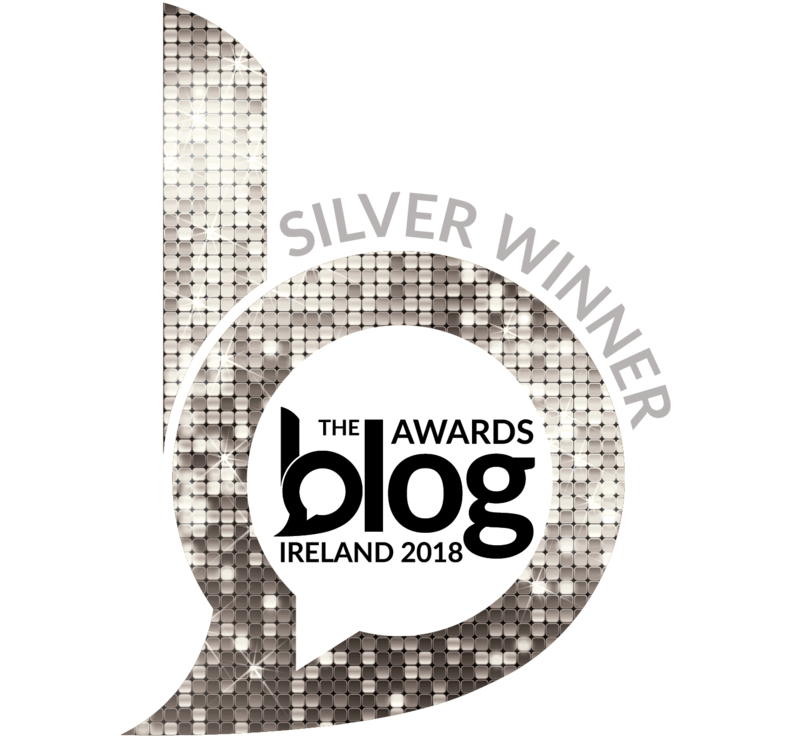 Our blarney, bravado, joking, singing, music, drinking and affinity for literature are often displayed openly in a true Irish bar. So should we really complain when these attributes are assigned to us in advertising caricatures, witty word puns, and media clichés? 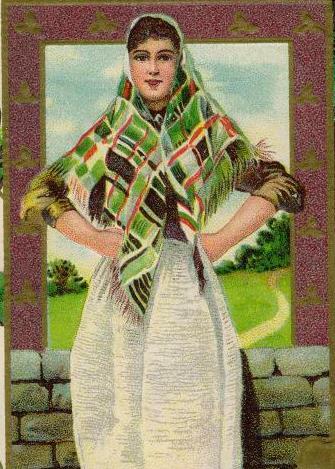 Do we want to start a “politically correct” campaign against faux Irish images, claiming they reduce our magnificent heritage to a racial slur, all the while allowing drunkeness to represent Irish pride? And guess what my answer is? Get over yourself and enjoy it ! ! ! 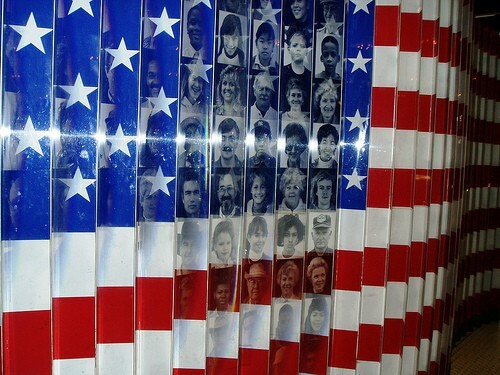 As one of America’s oldest, most deeply rooted and largest ethnic groups, we are big enough and bold enough to take it on the chin, and let it all run off us, like water off a duck’s back. Other cultures might shout out if they were represented by such hackneyed stereotypes, but that doesn’t mean we should too. If we can’t laugh at ourselves, then we have no business laughing at anyone else, or at anything at all for that matter. 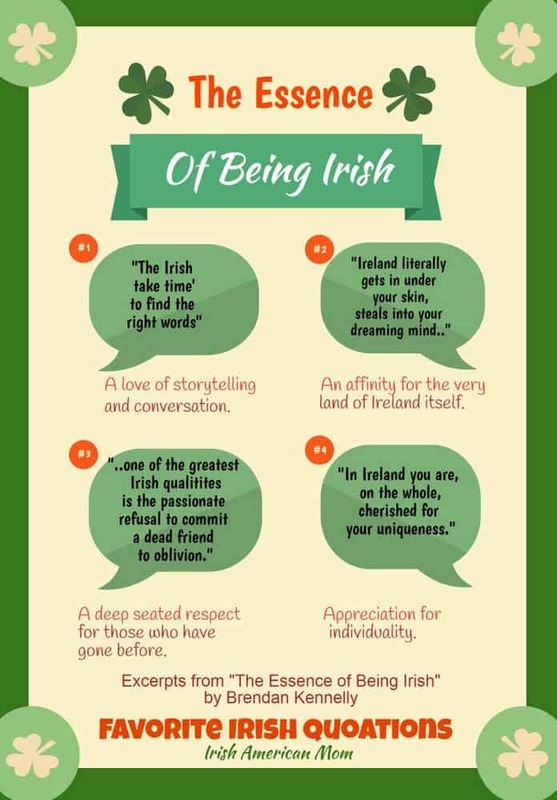 And truth be told, Irish beer, food and hospitality businesses enjoy the attention and increased sales associated with promotion of this Irish stereotype. 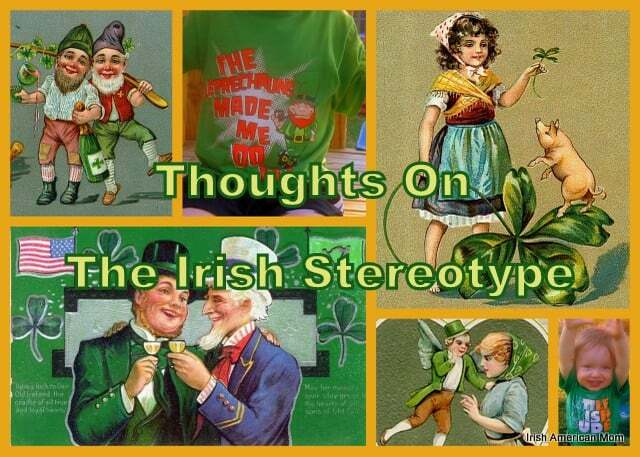 If I had the audacity to complain about Irish stereotypes, then would I not need to remove every vintage image of shamrocks and Irish people I have used on my blog over the past year? So there you have it! 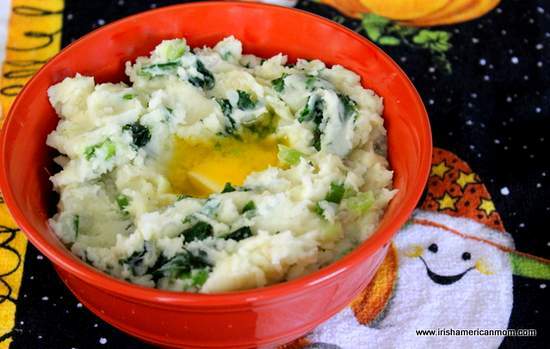 Sit back, relax and enjoy the attention on all things Irish, real or imaginary over the coming days. P.S. 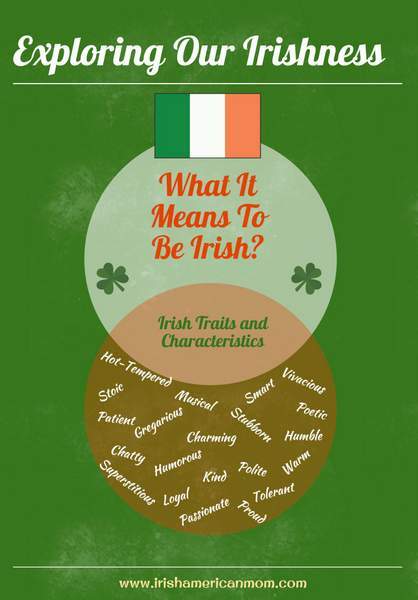 If this topic piques your interest, we can use this blog to delve deeper into the origins and meanings of different Irish stereotypes. 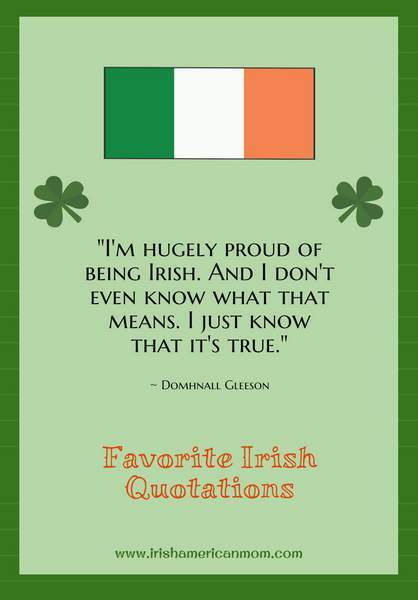 I believe acceptance of the Irish stereotype gives me license to be sentimental and tell our Irish American story peppered with a little bit of nostalgia.